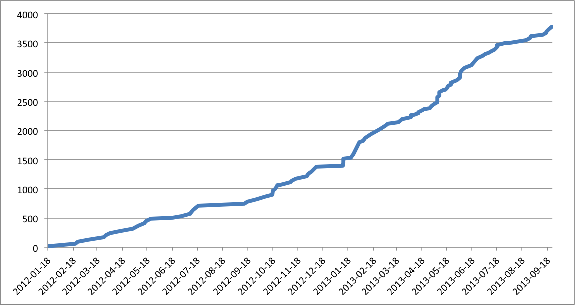 Our total enrolment (or enrollment, if you're American) continues to grow steadily: if we stay on the curve below, we'll have our four thousandth learner by the end of this year. Addendum: Mike Jackson has posted figures for the UK as well. 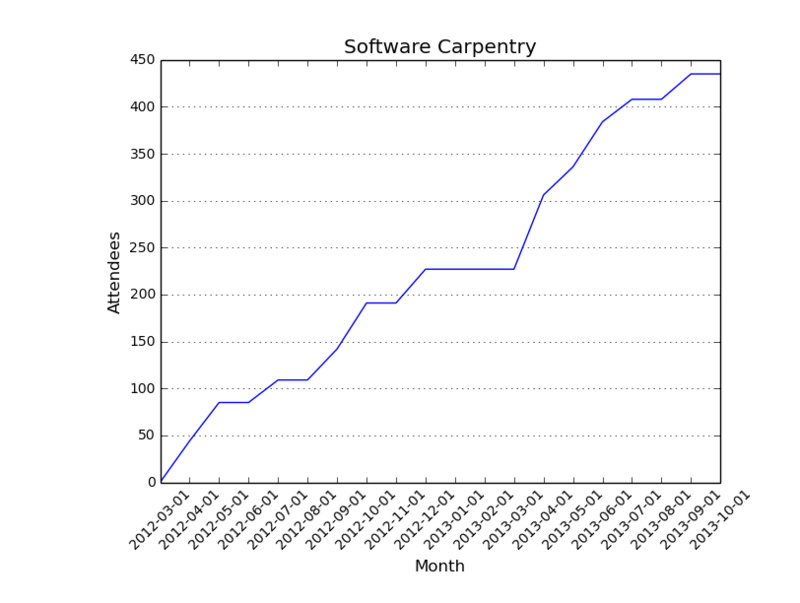 They also show steady growth, and they should hit 500 learners by the end of this year.